Ashley Rutledge was born July 9, 1985 in Selma, Alabama to Ms. Rosie Rutledge and the late Mr. Johnny Kynard. Ashley departed this life on Tuesday, December 12, 2017 at UAB Hospital in Birmingham, Alabama. Ashley confessed her life to Christ at an early age and joined Providence Baptist Church where her membership remained until her passing. Ashley was a 2003 graduate of Francis Marion High School. She was also a graduate of Wallace Community College. Ashley was a loving mother and she loved children! Ashley was preceded in death by her father Johnny Kynard. 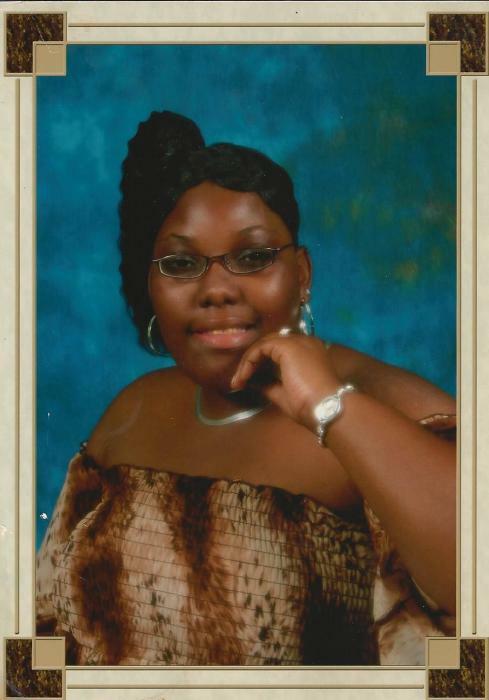 Ashley leaves behind to cherish her memory: one daughter, Zykeria Roshae Rutledge of Marion, Alabama; a loving and caring mother Rosie Rutledge of Marion, Alabama; three brothers, Anthony (Tara) Rutledge, Michael Rutledge of Marion, Alabama ;Tyrone Kynard of Columbus, Georgia; two sisters, Valerie (Alex) Davis of Selma, Alabama; Alice C. Couper of Conyers, Georgia; three aunts, three uncles and a host of nieces, nephews, cousins and friends; best friend Tameka Smith and a very special friend Rodney Whitt.